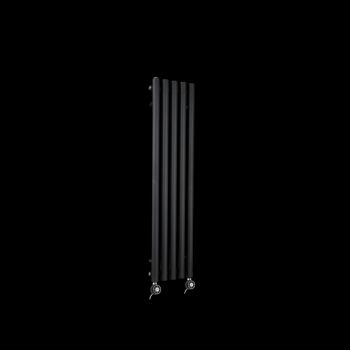 Circolo ultra thin slightly textured black pepper electric designer radiator 1200mm high x 260mm wide. Funky and modern, this tubular column radiator has a heat output of 600 Watts. It is a great space saving radiator for small spaces. Circolo is a designer radiator ideal for cloakrooms, hallways, stairway landings or domestic utility rooms in the home.